Detail is everything with this design and Paul shows how to create a beautifully decorated trim using simple techniques. 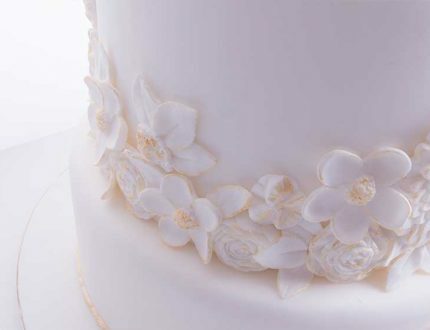 It’s these extra details that will give this cake the WOW factor. 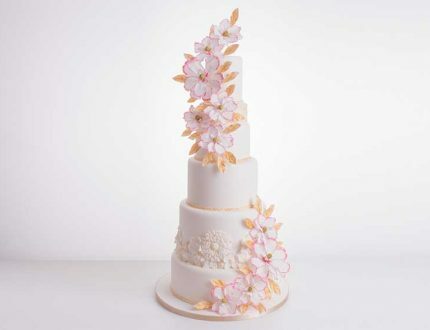 This cake will need a lot of decorations so Paul looks to a range of moulds to give him the variety of floral shapes and sizes to suit the design. 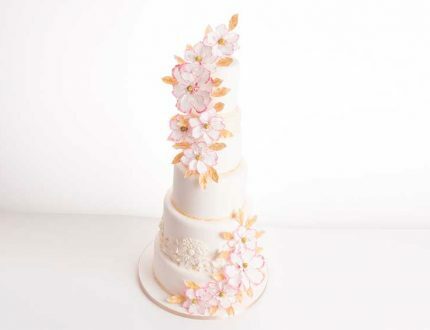 With a selection of flowers and petals available Paul creates the design just using his eye and starts to build up the decoration very nicely. You can follow Paul or take on your own adaptation. 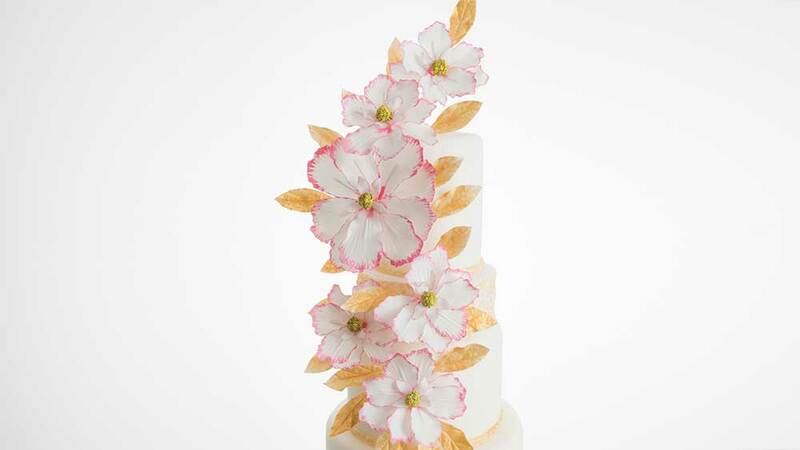 After seeing the colours of the leaves and petals, Paul thought the rest of the cake lacked character. He then painted the key decorations areas around the floral moulds that he’d added earlier and also decorated the seperator. 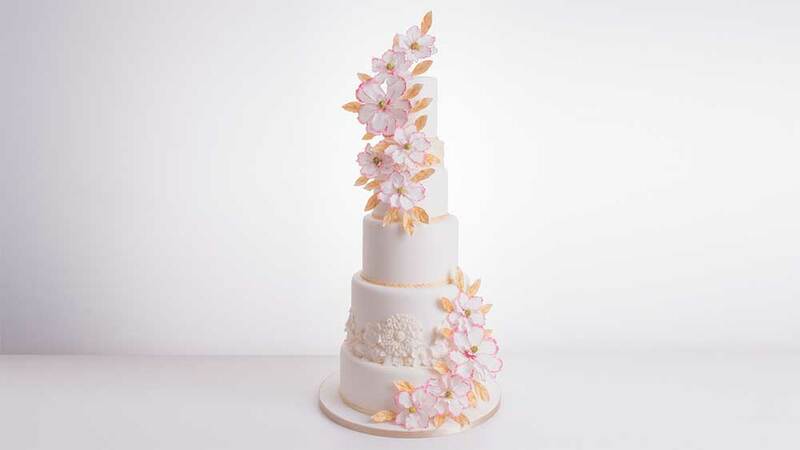 Some final tweaks and voila one 5 tier wedding cake! Paul shares with you some other ideas that can be created through the skills and techniques you have learned in this tutorial. 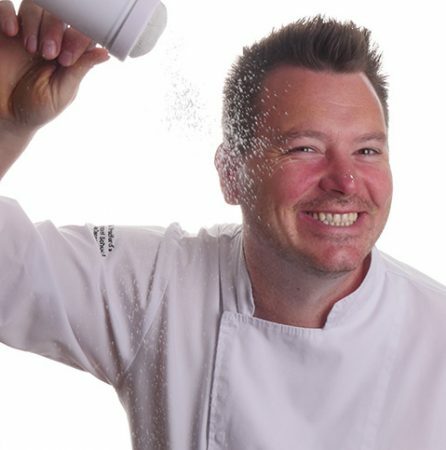 Paul shares with you everything someone selling this type of cake needs to know such as cost, price and delivery. 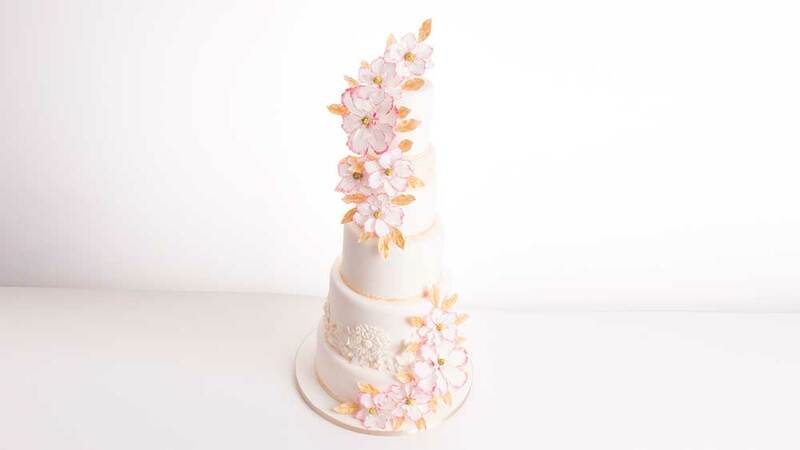 Highlights from the pink cascade cake course. 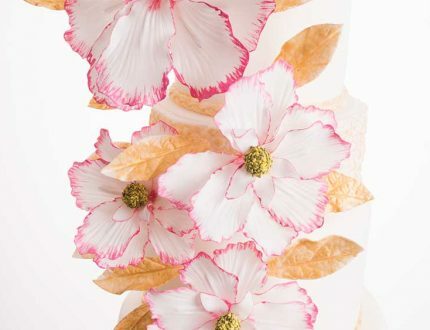 Learn how to make a 6-tier pink cascade cake with Paul Bradford! 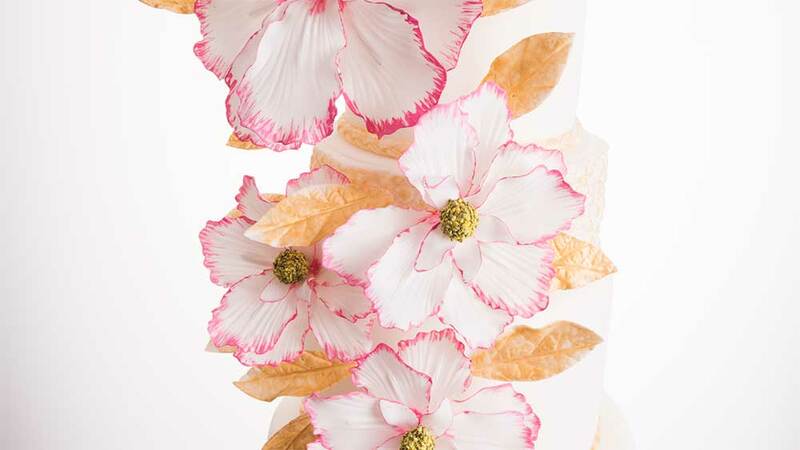 In this tutorial, Paul shows you how to make this beautiful 6-tier pink cascade cake. 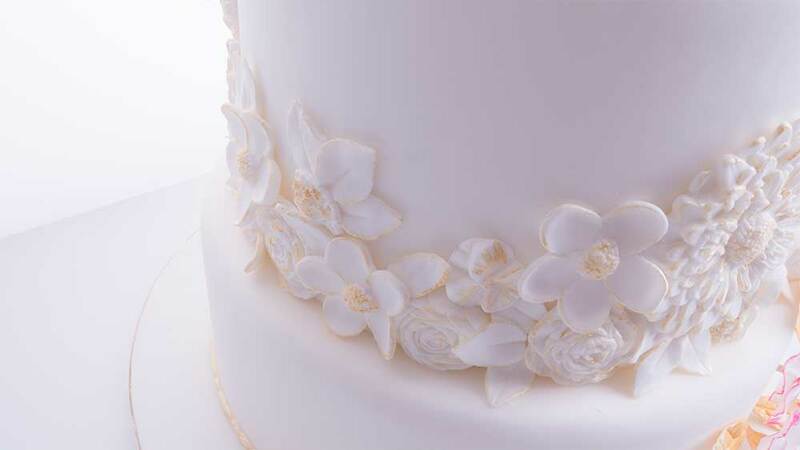 A breathtaking design especially for weddings. 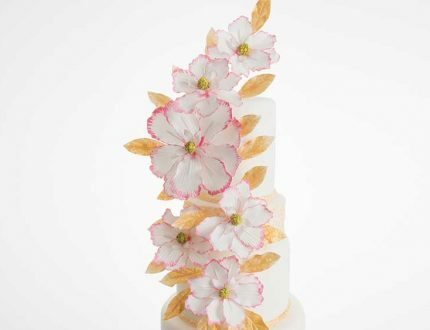 There are so many wonderful skills and techniques to learn in this tutorial to make you a better cake decorator.